Day Trading UK. How Do I start day trading? What is Day Trading? If you have any question regarding day trading you’ve ended up in the right place. BullMarketz.com is run by day trading professionals, and our aim is to share our experience and knowledge with you to make it easier for you to learn how day trading works. 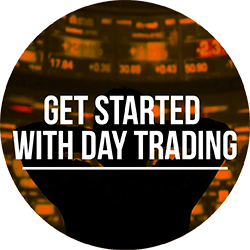 On this page, we’ll go through the basics, talk about day trading rules, and answer questions like “What is Day Trading?” We’ll also provide you with an introduction to all the tools you’ll need to get started and offer other very useful day trading tips. Day Trading definition: A form of trading where you buy and sell assets online over a single trading day. Often profiting from small price fluctuations. Day trading is a form of trading where one buys and sells securities over a short period of time, usually several trades per day. This can be done with pretty much any asset from stocks and forex to commodities and derivatives such as CFDs and ETFs. Generally speaking, forex and stocks are the most popular for day traders, but lately, cryptocurrencies have gained a lot of popularity as well. Also, everyone partakes in day trading online through online brokers, but more about that shortly. Often times, the best way to describe day trading is to compare it with long-term investments since they are two polar opposites. When placing a long-term investment, your goal is to make a profit from that investment over a long period of time, usually several years. This is typically done using stocks since they tend to grow slow but steady. Day trading, on the other hand, focuses on benefitting from the smallest market movements and the long-term development of an asset isn’t really of interest. This means that a day trader wants to find indications that security or underlying asset will move right now and it doesn’t matter if it will increase or decrease in value since you can either go long or short. Unlike most long-term investments, day trading can be the only source of income for some, and it can almost be viewed as a full-time job. A key component to all forms of day trading is the use of leverage to maximize one’s exposure for each position. In addition, anyone wanting to succeed in day trading will have to master short-term day trading strategies and become really good at both technical and fundamental analysis. It’s also important to understand that day traders aren’t only benefiting themselves but actually helping the markets. For example, a majority of the liquidity on the global stock markets is controlled and influenced by day traders. Here, we are going to start taking a look at how you can start day trading if you are based in the UK, or within the EU. Since we are asking the question, how do I start day trading, we are going to assume that you are a beginner. New to day trading. And the first thing we should do is finish this article, and get some basic knowledge of day trading, secondly, we advise that you open a demo account. The beauty of learning how to day trade today is that most brokers offer demo accounts which you can use to practice trading in a risk-free environment. A demo account is basically a replica of a regular day trading account, but instead of using the real money you use virtual money provided by the broker. Demo accounts are completely free and will be one of your most valuable tools, especially when you’re getting started learning how day trading works. In addition to all of this, it’s crucial that you equip yourself with the best day trading tools, platforms, and software. Luckily, we are here to help you with this, and we can recommend the best tools that we use ourselves. Is day trading legal and is it safe? Before we continue with the rest of this guide, we need to address one topic that is often discussed. While day trading is 100% legal in most countries around the world, it’s not safe. As with any type of trading or investment, you always run the risk of losing what you invest. Therefore it’s of utmost importance that you understand what day trading is, learn all of the day trading rules, and master all of the skills before you expect to make any profit. That being said, with the right knowledge, day trading strategies, and eagerness to learn and adapt, one can learn how to make money day trading. Another issue with the day trading industry is that there are scammers out there promising tons of money in no time, and get-rich-quick-schemes. Your job is to make sure you don’t fall for this. There is no way to make quick money off of day trading, and there is no magical solution that guarantees a profit. If it sounds too good to be true, it probably isn’t worth your time. You should always be aware of unregulated brokers and scams. Avoid them at all times. 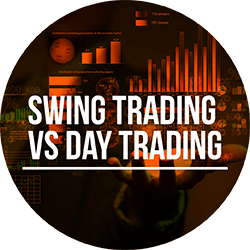 Chances are you’ve heard the term swing trading in connection to day trading but you might not understand the difference so let us explain it to you. As mentioned, day trading is when somebody opens and closes several positions every single day and tries to benefit from smaller market movements. Swing trading is similar to day trading, and it also revolves around benefitting from small market movements, but the difference is the time frame. A swing trader works with longer time frames than a day trader, usually between a few days to upwards of a few weeks. This means that the trader doesn’t have to be glued to the computer for hours every day and his trading is considered more of a side activity than a job. Naturally, there are pros and cons to both types of trading, and it’s up to you to decide how much and often you want to and have the capacity to trade. Looking for the best Day Trading Strategies? Look no further. So, you want to learn day trading, and you’re looking for day trading tips. That’s great, and since you’ve made it to this page, you’ve actually already made some progress. However, before we continue, you have to accept the fact that it’s a long process and that you will have to spend a lot of time practicing and perhaps even taking day trading courses before you’ll make it. That being said, you can start day trading already today, and the best way to learn is by hands-on practice. The first step before doing anything else is to make sure you have basic day trading knowledge and an understanding of financial systems and the factors that affect the price of securities. Without this basic knowledge, you won’t make it far. The second step is to figure out which assets you want to trade with. As mentioned, most day traders only focus on stocks and forex, but the choice is yours. Cryptocurrencies have proven to be a great market for day traders due to their extreme volatility and the fact that they are accessible 24/7. The third step is the most important because this is when you really get into the trading part of it all. Before you’ll make it as a day trader, you’ll have to learn and master day trading strategies as well as figure out how to read charts and analyze prices and market movements. These are the most basic steps on how to get started day trading, but there is obviously more to it than that. Also, the most important part of making it is dedication. If you actually want to start day trading, you will need an urge to continually learn new skills as well as the dedication needed to learn how to read charts and analyze assets for hours every day. Furthermore, you will have to learn the psychology behind trading and how to invest without emotions, meaning every trade you make will be based on facts and data, not feelings. As soon as you start involving your emotions, you will lose focus and start chasing losses and trust us, that’s a downward spiral you don’t want to get stuck in. As a day trader, you will rely on a broker to give you access to the markets you want to trade on as well as the tools and software you’ll use for trading. There is a multitude of brokers currently active in the industry, but only a few of them can be considered the best for day trading. 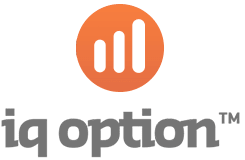 We’ve spent hundreds of hours evaluating all the top brokers and listed the best in a comprehensive and objective list called the Best stock trading apps. All of the brokers listed on that page live up to all of our very strict requirements, and we keep all of the brokers under constant review in order to update and change the list whenever it’s needed. In our opinion, these are the best day trading brokers right now. Click the link to read our unbiased and comprehensive broker reviews. License – All of the brokers we recommend are licensed and regulated meaning they are completely safe to use for day trading and that some of the leading regulatory bodies in the world oversee every part of their business. This is done to ensure that each broker follows the international day trading regulations. Assets – Obviously, the brokers also need to offer a wide range of assets in order to accommodate as many day traders as possible. That means we want to see currency pairs, stocks, cryptocurrencies, commodities, and preferably even more asset classes fit for day trading. Platforms – No broker makes it to our list of recommended services without offering the best day trading platforms, which brings us to the next part of this guide. Cryptocurrency day trading, for example, Bitcoin day trading has gained huge popularity in the UK in recent times, it’s hard to imagine that a few years ago, the bitcoin price was about 1 dollar, and now people are earning and losing millions of dollars on small swings. Day trading crypto in the UK differs a bit from buying cryptocurrencies, when you trade, you won’t actually buy bitcoin, you will trade it through CFDs. This means that you won’t have to mess around and set up a wallet. In fact, crypto trading is in many ways much easier than buying Bitcoin. Always read up on cost and fees related to your trading, most crypto brokers will cover this in the terms and conditions. Using a state of the art trading platform and the best day trading software is crucial to succeeding as a day trader. You will be using the platform on a daily basis, and it will quickly become miserable if the platform is subpar or not easy to use. There are two types of trading platforms that a broker can offer and a multitude of additional day trading software and tools. A platform is either designed and developed by the broker themselves and completely unique to that specific broker. These platforms are called proprietary platforms. Otherwise, a platform is developed by a third-party and used by many brokers, the best example of this type of day trading platform is MetaQuotes’ MetaTrader 4 and MetaTrader 5, and the forex platform NinjaTrader. Among the world’s top brokers you’ll find both types of trading platforms, and in many cases, brokers offer a combination of proprietary trading software and platforms developed by third parties. We consider the following three brokers to have the best platforms and software for people looking to get started day trading. In the past few years, brokers have started allocating more of their energy on developing mobile day trading tools and platforms. These trading apps have become an integral part of a broker’s selection of software and are something that you need to consider when first getting started with day trading. Today, most of the day trading apps are almost as good as a broker’s regular trading platform, and to us, it’s a fun feature that allows you to trade and oversee your investments wherever you go. To learn more about trading apps, we suggest you check out our list of the Best Trading Apps to buy shares where we’ve listed different trading apps and what makes some better than others. At this moment, we believe that the following brokers offer the best trading apps but in the end, it’s a personal choice, and we advise you to take a look at our complete list of trading apps. Hopefully, we managed to answer the question “what is day trading” and we also hope that we’ve given you a better idea of what is needed from you to succeed in day trading. Maybe we’ve even helped you figure out whether day trading is worth it for you or not. If you are a beginner, we urge you to read through our education section and to start slowly. See day trading is fun, but can also be expensive if you are not careful. All things considered, day trading can be a fun and exhilarating way for people to make money. However, it’s equally as rewarding as it is difficult and it definitely comes with some risks. Because of that, it’s important that you learn all of the day trading rules, educate yourself on the markets you want to day trade on, equip yourself with the best day trading tools, and make sure that you have the dedication needed to put in the necessary time and effort. If you want to learn more about day trading, or swing trading or even long-term investing, we offer guides that can help you and we’ve done our best to cover every related topic there is. 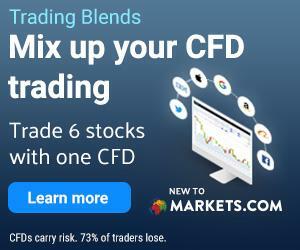 In fact, BullMarketz.com is an incredible resource of curated information regarding all types of trading and the best place to learn how to trade.